For centuries, your civilization has yearned to take to the stars and explore unknown worlds. Now you finally have the technology to take your first steps into the cosmos. 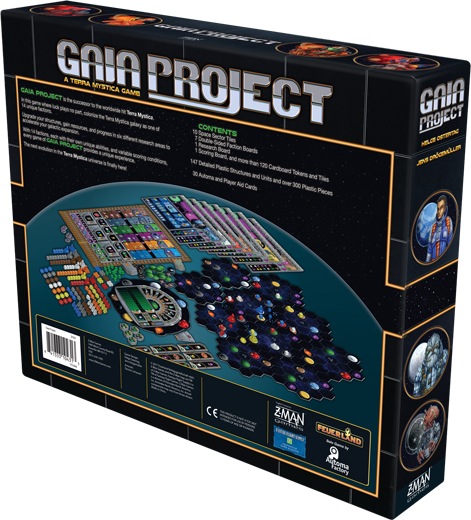 In Gaia Project, one to four players are invited to forge their own galactic empires. Each player takes command of one of fourteen unique factions competing to colonize the galaxy. Spread your influence by claiming new planets, building structures to produce resources, developing new technologies, and uniting your planets in federations. As your empire grows and your economy becomes more diverse, you'll unlock powerful abilities that help you gain an advantage over your competition. There are many possible actions you can take and you must determine the best way to combine those actions to build your empire. Every option offers tantalizing possibilities, but always remember: In the end, only the most advanced faction will dominate the galaxy. The galaxy is vast and the planets you find there come in many varieties, from harsh desert to the mild terra. Each faction in Gaia Project has different environmental needs to survive on a planet. In order to expand across the galaxy, you must commit resources to terraforming planets to meet your faction's specific needs. But some planets will be harder for you to terraform than others. With a limited number of planets available and competing factions vying for control, it's up to you to determine which planets to target and which to leave to your opponents. 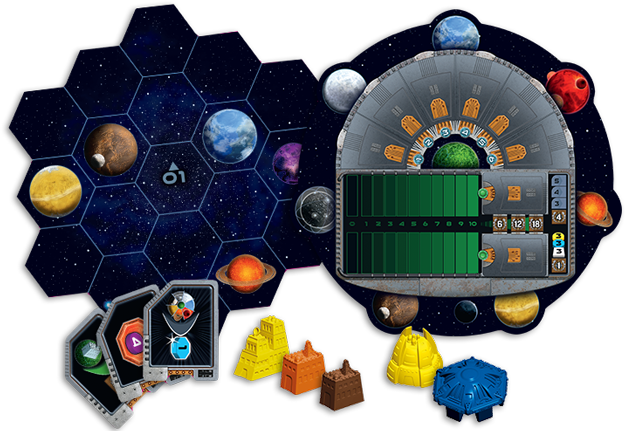 Gaia Project features modular space sector tiles that allow for many board configurations, giving variety to your games. Construct your own galaxy and compete with your friends or even strike out on your own with the rules for solo play. The galaxy is yours to explore in Gaia Project!